If you're the type to recreate Westeros in Minecraft, the blocky construction game that's practically ubiquitous, keeping it on you at all times might be pretty attractive. 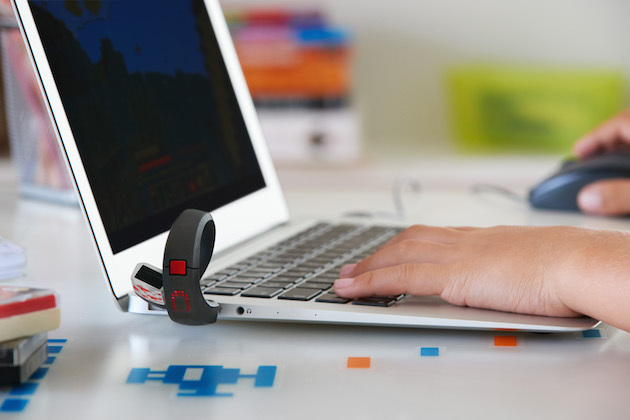 The Gameband + Minecraft gives gives you the chance to do just that. The first-gen Nike Fuelband lookalike has Mojang's cash cow built in (you can play directly from the device by plugging its USB 3.0 end into your Linux, Mac or Windows machine), sports a customizable LED display and automatic cloud uploads for your game files. The basic gist is that you can take all of your work with you wherever you go because everything you need to play in Notch's garden is dangling from your wrist. Oh, and it's aimed squarely at kids so if you have a redstone-obsessed youngster in your life, this might be a solid fit for them. The unit prices out at $80 and it's available at Best Buy, GameStop and Target this very instant.